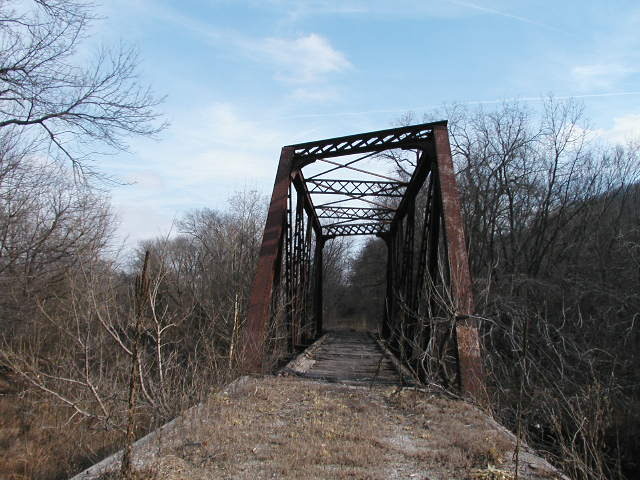 This bridge is located along US 64 just 1 mile east of the Tulsa-Wagoner county line. It is 1/2 mile south of the Arkansas River. 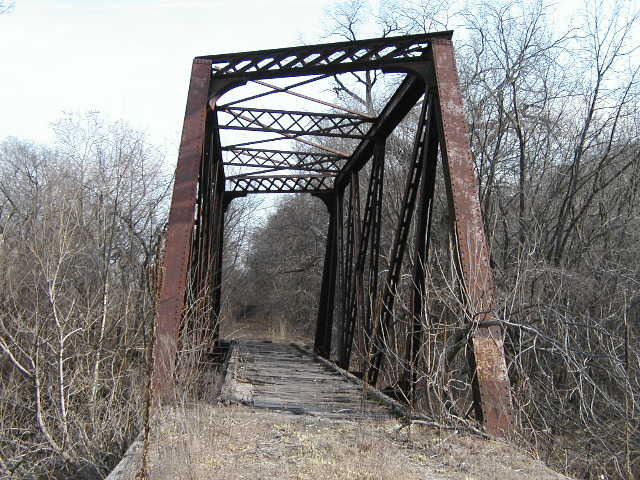 We estimate it to be over 100 feet long and to have been built circa 1915. Above, view through the bridge. 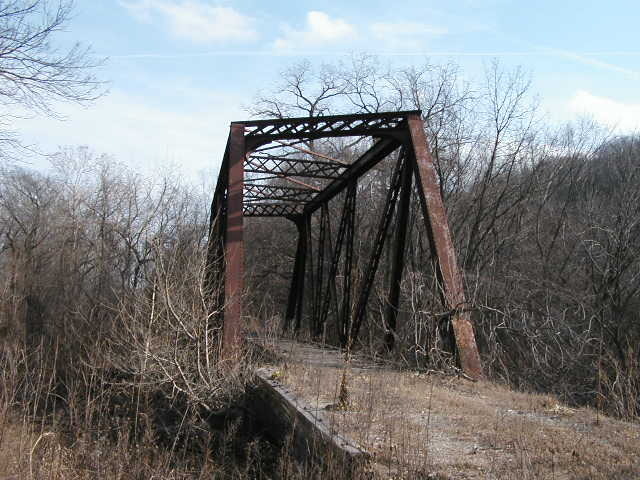 The bridge is a riveted Pratt, 5-panels long. The bridge is skewed. The hip vertical is not truly vertical, but at an angle. The bridge also has a ballasted deck-girder approach at each end. 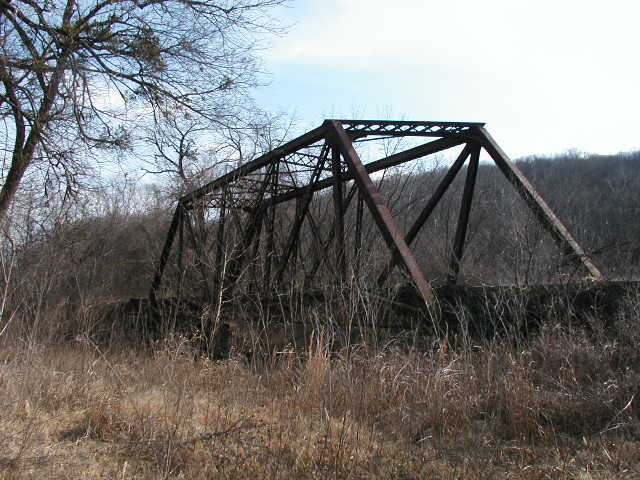 Above, a side view of the bridge. The skew combined with the angled hip verticals produces the illusion that the bridge is leaning over. Because of the angle of skew, the hip verticals are angled to keep the floor beam parallel to the others. Above, another view through the bridge. Below, an angled view through the bridge. No year or builder's plaque could be found.